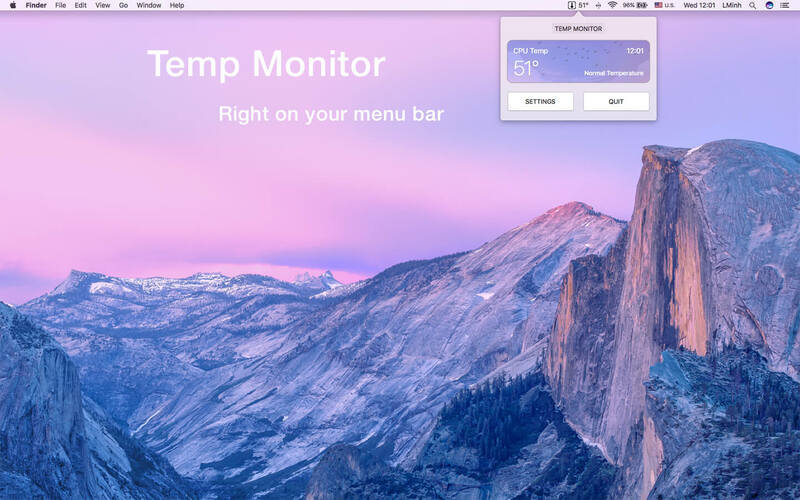 Temp Monitor app is an unobtrusive tool which will alert you when your Mac overheats, and the perfect utility to help you log all instances when the processor goes beyond a temperature which might be dangerous for both your Mac and yourself, if you're using a MacBook or MacBook Pro. 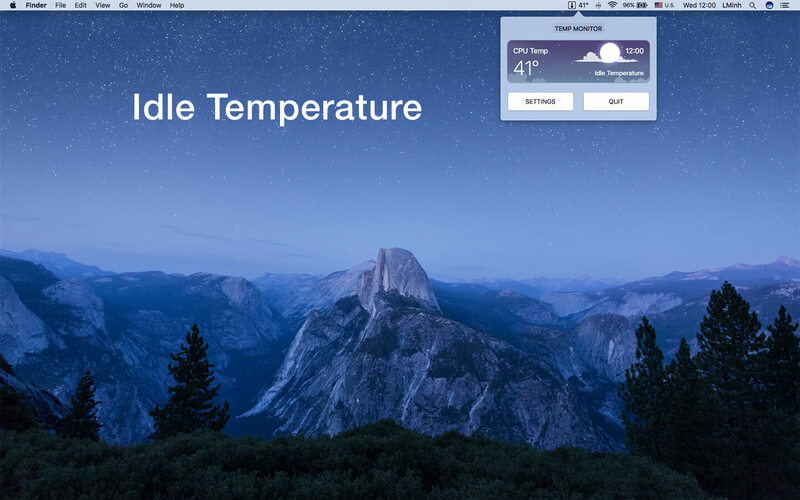 Support for customizable overheat temperature - Temp Monitor is a macOS application specifically designed to watch a Mac processor's temperature very closely and display it in the menu bar in the form of a text- and icon-based status item. More precisely, Temp Monitor runs in the background and will let you know when the CPU's temperature reaches dangerous levels, thus enabling you to pause highly intensive processing tasks and resume them at a later time to protect your Mac's integrity. The CPU temperature which triggers Temp Monitor to display an overheat notification can be customized via the app's settings window. From there you can also set Temp Monitor to launch on login and choose the default temperature unit it uses. 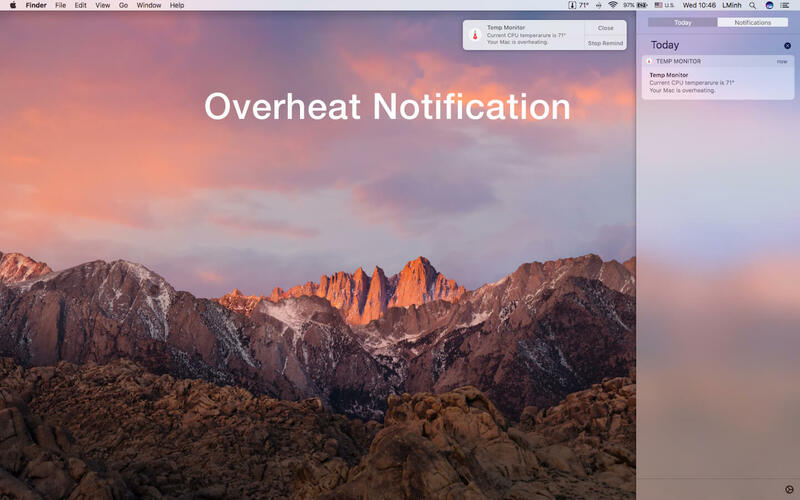 Notification Center integration and automatic logging of all overheat alerts - Furthermore, the Temp Monitor utility displays audio and visual notifications via macOS' Notification Center feature, and it they are by default set to be alerts which will not go away until manually dismissed, an excellent idea for when you are away from your Mac and the CPU temperature goes above the safe threshold. The temperature warnings are also added automatically to Notification Center's notifications tab, for later reviewing of all past alerts when and if needed. Add fan control feature to the menu app. Add option to hide the menu bar icon. Update dropdown settings so you can hide the main sensor and can also reorder categories. Minor bugs fixes and improvements.